I own the Think Tank StreetWalker HardDrive for couple of months now. 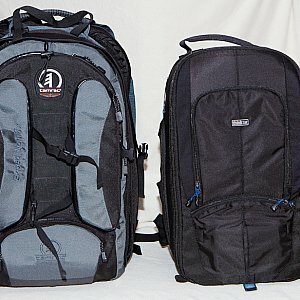 The Tamrac Expedition 8 is already sold and it is time for a comparison of the two backpacks. The Expedition 8 offered me enough space to store all the necessary stuff I needed. 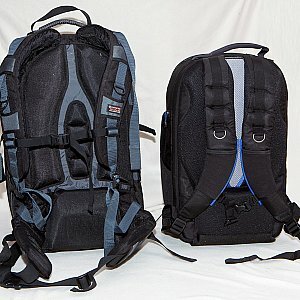 But it is a very large backpack. Especially because of the heavy padding it needs more space. 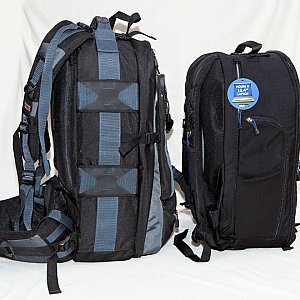 From my experience with the Think Tank Photo StreetWalker HardDrive I can store nearly the same amount of stuff in it. But the outer dimensions stay handable. This is very comfortable. Since I own the StreetWalker HardDrive I use is very often. The Expedition 8 became a dust trap which was only used to store things at home. The StreetWalker does not. Finally I'm very happy with the decision for the StreetWalker HardDrive and I can highly recommend this backpage (again).